As reported earlier in the week, London Clubs International (LCI) has received a bid approach - recommended by its directors – from WSOP Owner Harrah’s Entertainment Inc. In that article, we also reported that Stanley Leisure plc was probably back “in play” from a corporate perspective as it had terminated its planned merger with LCI as a result. With no further ado, Stanley Leisure plc has indeed announced that it has received a bid approach resulting in a jump in its share price as at close of play on 4th September to over 800p per share. Stanley Leisure has not named the bidder but the financial press are keen on rumours that the Malaysian giant, Genting International, is the likely suitor being a large investor in the company already. In fact, Genting holds a large stake in LCI too and talk had been centred on the possibility of them acquiring both UK groups after a merger. It certainly appears that the UK casino scene is unlikely to be UK-owned for too much longer. The stakes of imminent de-regulation in the UK casino scene makes our casinos too juicy a target for the major gambling conglomerates overseas to resist. 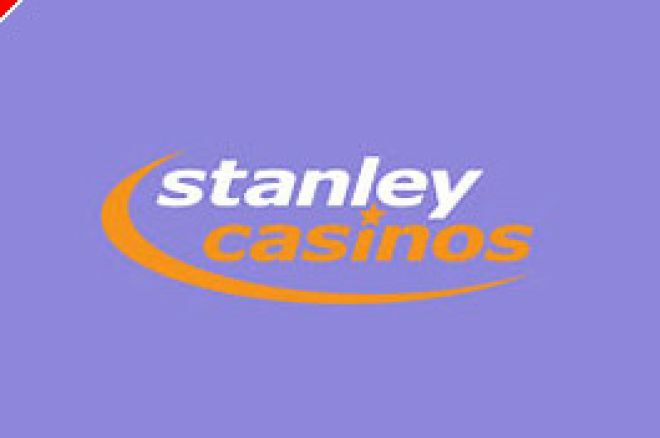 Stanley Leisure has undergone a great deal of change in the last year turning itself from a major high street bookmaker into a major casino operator. It achieved this by selling its betting shops to the William Hill group while getting busy buying up casinos such as in Southend-on-Sea, Bristol and Southampton, to add to its established Stanley Casinos. However, this business is moving fast at the strategic level and with no country barriers in place to prevent overseas ownership, the giants from afar are winkling out the unprotected small prey while they can. Indeed, the two likely takeovers of LCI and Stanley probably account for over half of the UK’s entire casino estate! Ed note: Claim an excusive $150 bonus when you download Bowmans Poker and deposit via Neteller.